Labor Day Weekend, and I had the Friday off. Three days to go to and fro in the earth, and walk up and down in it; not counting Sunday, my day of rest. Except that I owed my wife at least a day of working around the house, particularly since I wasn’t able do much during the summer (because of the shoulder). Hey, that’s cool; I can spend all day Saturday being Mr. Fixit and still have two whole days to wanderlust. I figured I would spend Friday somewhere in the caldera and Monday in the El Alto area. 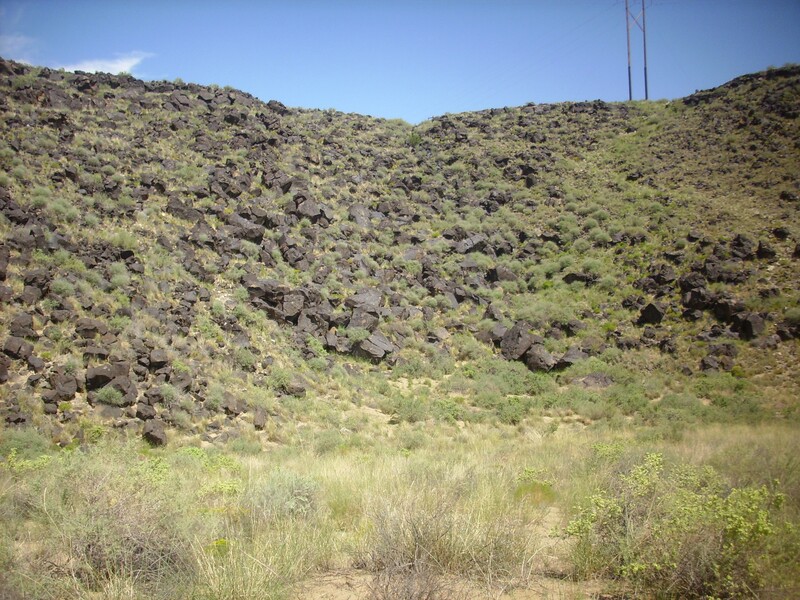 I needed more material on the El Rechuelos rhyolite for the book, and the weather forecast looked promising for Monday. 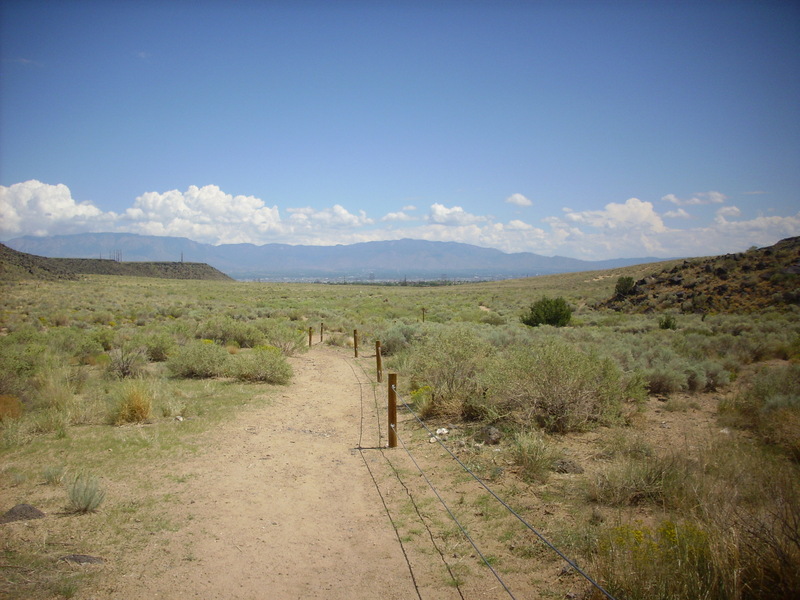 Which was important; El Alto is about the worst part of the Jemez for thunderstorms during monsoon season, which hasn’t wound down yet. I briefly considered doing the hike down Bruce Ridge to those outcroppings of Bland monzonite, for which I also need more material for the book; but decided this was still too risky to do alone, and the exposed route would be bad if a thunderstorm came up. Better to wait until the fall dry spell is definitely on (but not to wait too long, or the road in is likely to be closed.) 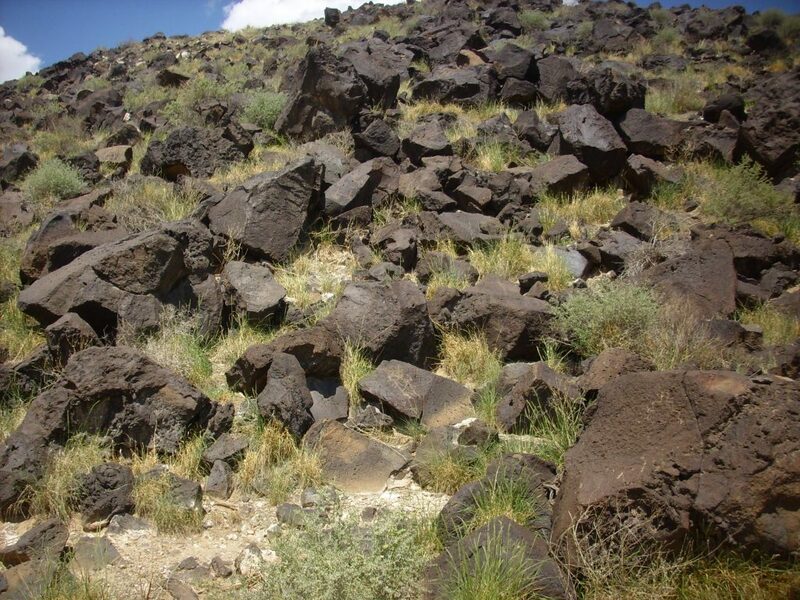 I decided instead to hike deep into Valle Jaramillo and look for a road cut, mentioned in one of my road logs, that beautifully displays Deer Canyon massive rhyolite flows over tuffs. But then my wife informed me that my son wanted to participate in a smash tournament in Albuquerque on Saturday. That preempts all else, since my son has been struggling with health issues for several years now and I would like to spend as much time with him as possible. So I junked the Valle Jaramillo plan, prepared to spend Friday being Mr. Fixit instead, and planned to do some short hikes around Albuquerque while Nathan was in his tournament. Then I’d really go to town on Monday. Well, actually, pretty much the opposite, but you know what I mean. The Mr. Fixit gig worked all right. It didn’t preclude sleeping in, and I got a lot done. There were a couple of old mattresses and a broken-down recliner chair to dispose of (which I managed to do without using my left shoulder), there was a kitchen to clean, there was general straightening up, there was a new bed to set up for my other son, and there was a leaky hot water faucet to fix in the shower. I pulled out the faucet stem, on which I have been replacing washers with distressing regularity, and found that the O-ring was also shot, part of the stem was corroded, and the stem was just generally in bad shape. I found what I really hoped was the right replacement at the local hardware (luckily, it was) and popped it in. Works much better now. I’m hoping I’ll find I don’t have to replace washers as frequently any more. Heck, it worked so well, I’ll probably replace the cold water stem soon as well. Saturday I was up at seven (which still counts as sleeping in for me) to get a good breakfast and prepare for Albuquerque. We were off by 9:30 and arrived just after 11:00, after a long drive that included a discussion of politics. Nathan will be voting for the first time this fall. I have already apologized to him for the dismal selection of candidates this time around. After seeing that Nathan was settled in and ready for the tournament, I headed out for my first adventure. 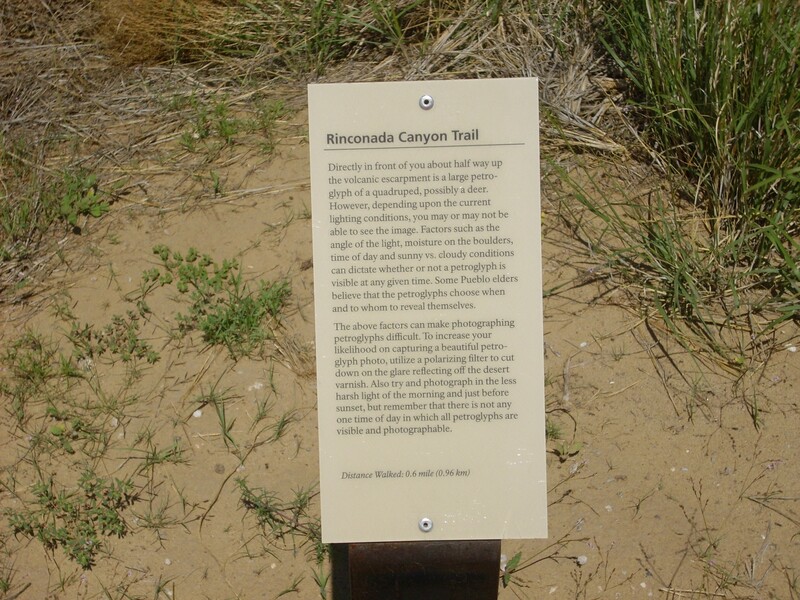 Largely because it was nearby, I headed to Petroglyphs National Monument and dropped in at the visitors’ center. I perused the book racks; there was a nice circular on basalts of the Albuquerque Basin for $10 and a very nice geologic map of the Albuquerque area for $25. I decided to go with just the basalt circular; the map was expensive and looked like it would not have that much more information than the online geologic maps. 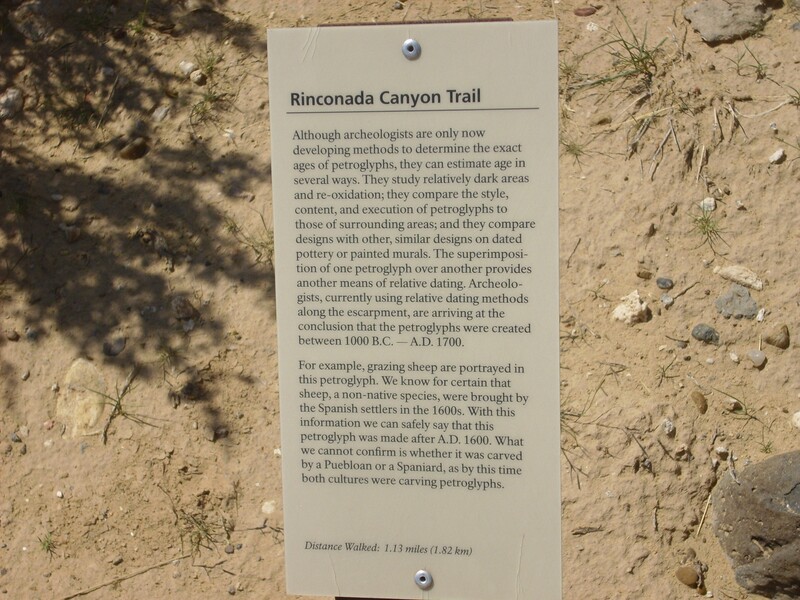 The ranger informed me that if I was looking for a hike of a couple of miles, Rinconada Canyon was the best offering. So off I went. 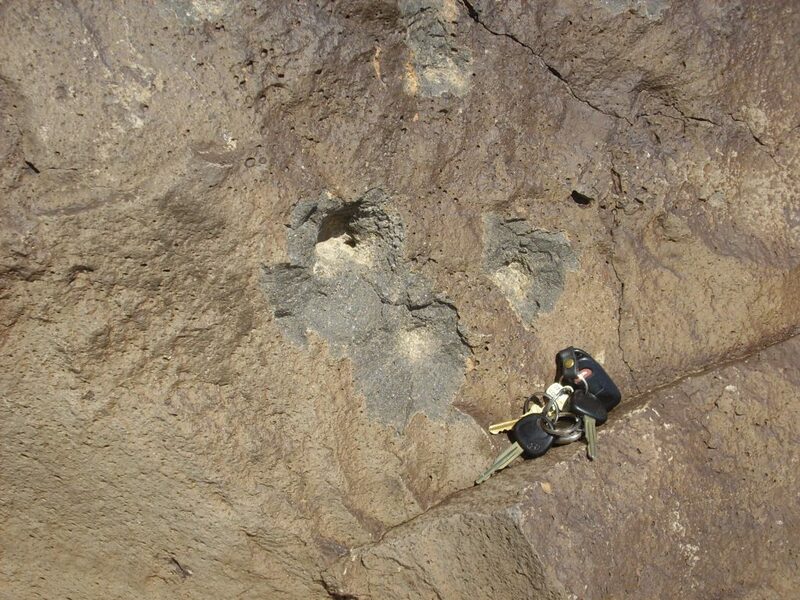 The basic geology is very simple: The canyon is rimmed with olivine basalt erupted from the Albuquerque Volcanoes to the west about 190,000 years ago. 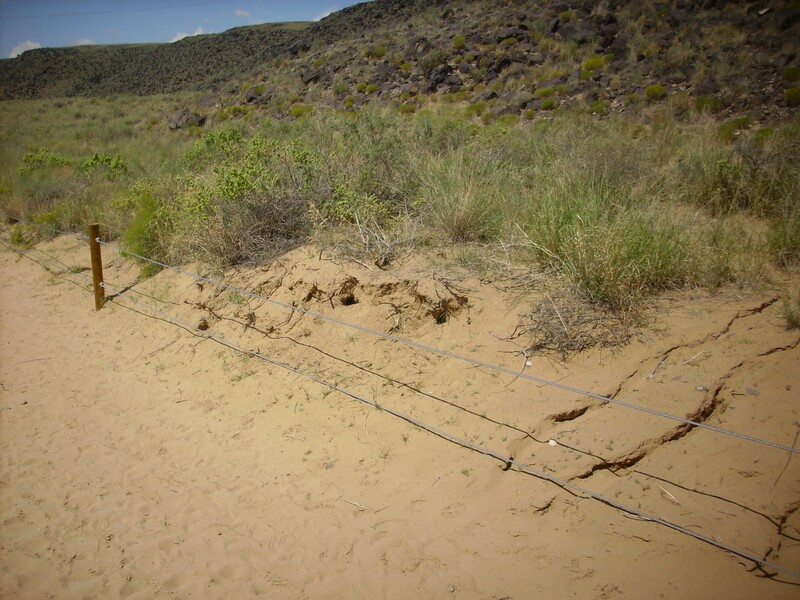 Beneath are the usual nondescript tan sediments of the Santa Fe Group, while the valley floor is thinly veneered with eolian deposits. 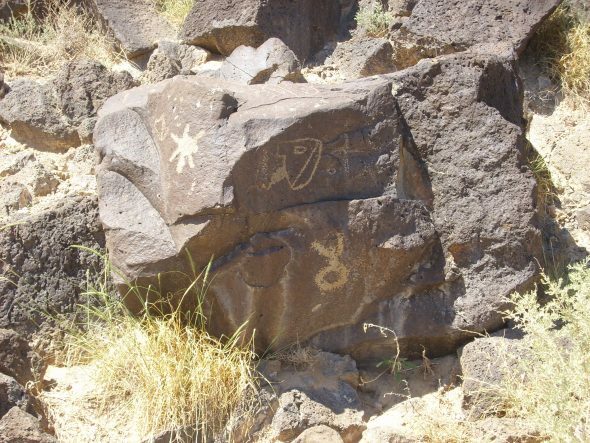 Native Americans, and later Europeans, carved various petroglyphs into the basalt boulders covering the canyon slopes. I got my stuff out of my car, donned sunscreen, and found a good spot for a panorama. There were a few other people on the trail. So apparently some of the native Americans know what the petroglyphs we’re about to see mean, but don’t consider it any of our business. I’m fine with that, actually, but for some reason the wording of this and subsequent signs seemed to bring out the snark in me. I’ll try to keep that out of this post, though. 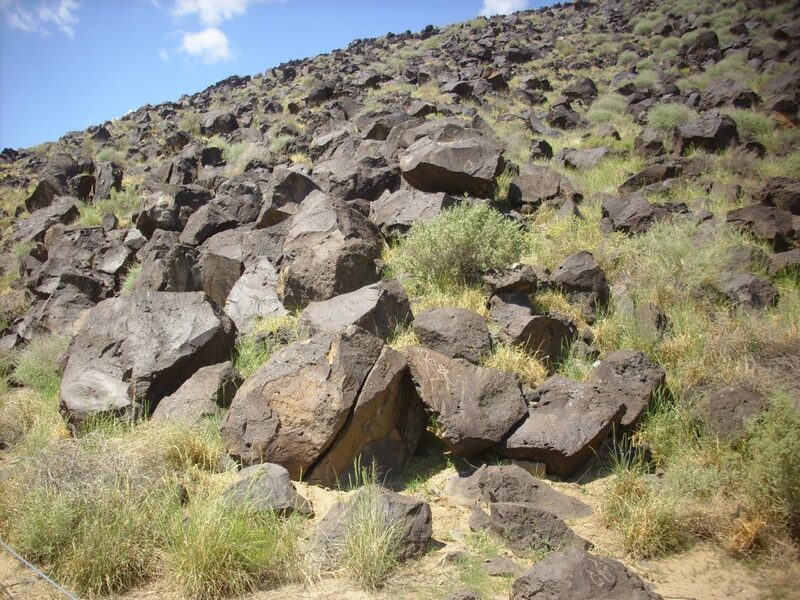 Or maybe it was just frustration that I had difficulty finding the bird petroglyphs mentioned. Oh, I know. You’ve clicked and enlarged and spotted them, where I now know they are, but all I saw at the time was the modern initials carved on the boulder to the left. 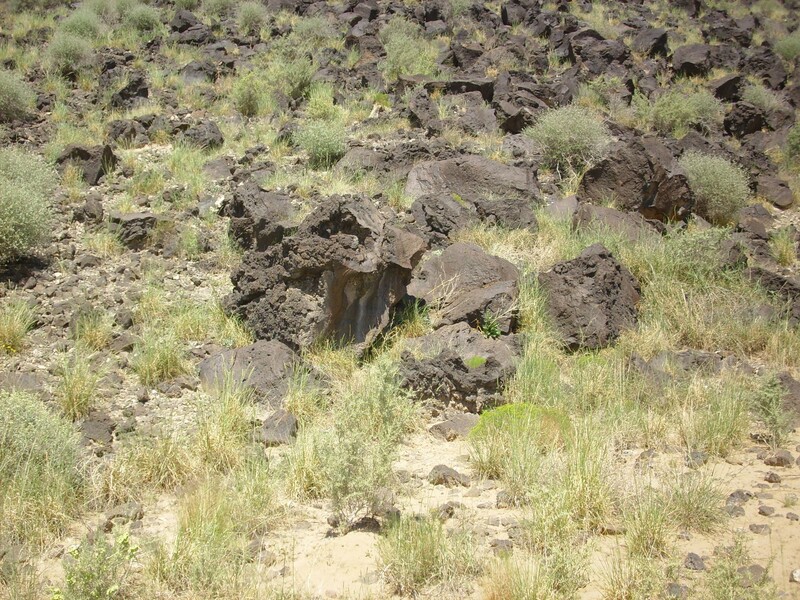 The petroglyphs just didn’t want to reveal themselves to me. Alas, I have no polarizing filter for my cheap tourist camera. 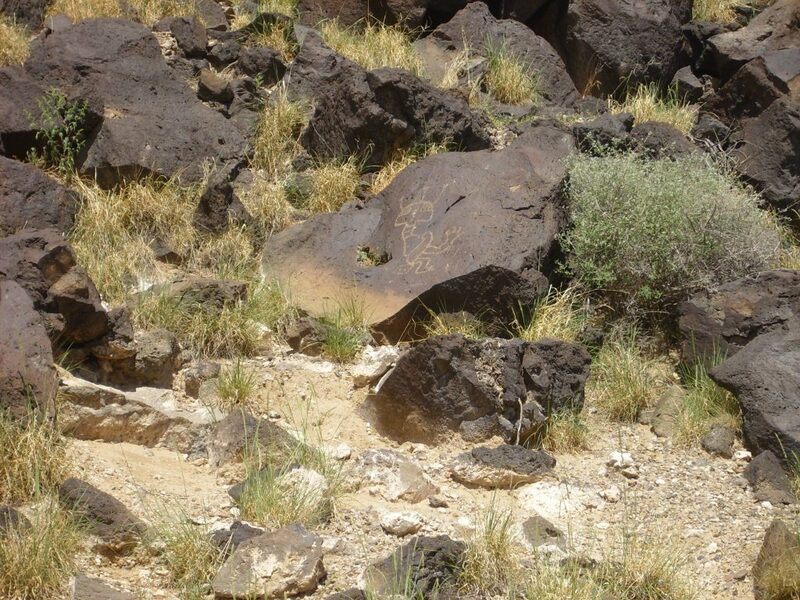 But I could make out the deer petroglyph. 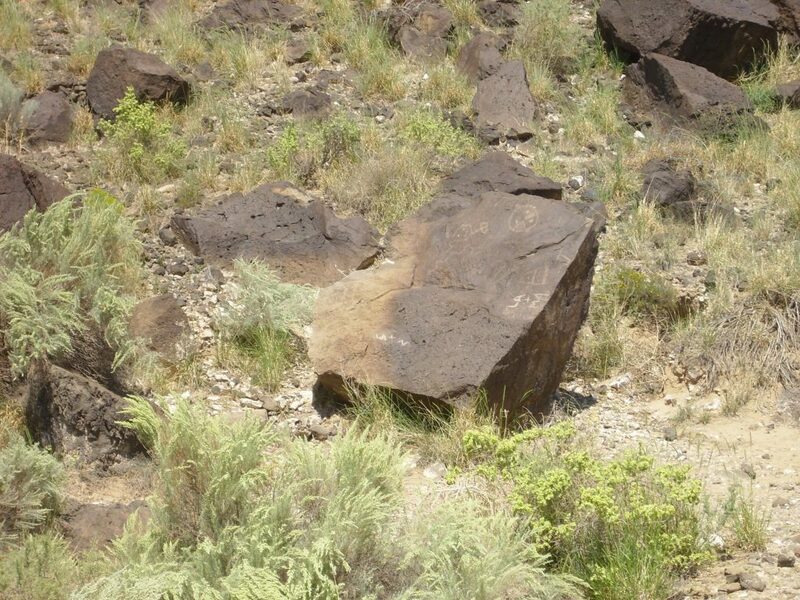 Nearby was a boulder with mixed ancient and modern petroglyphs. I wonder if the love of the modern vandals was as enduring as their vandalism. 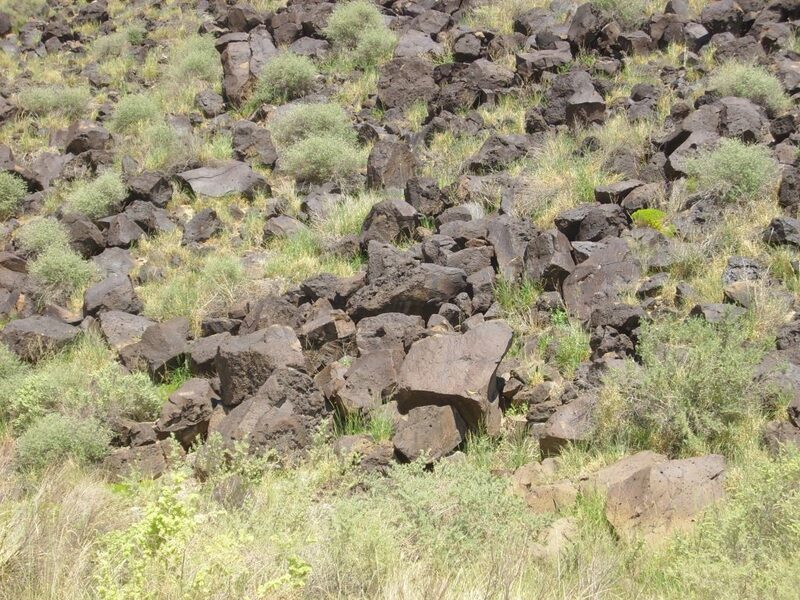 Here are some basalt boulders showing a surface of scoria. 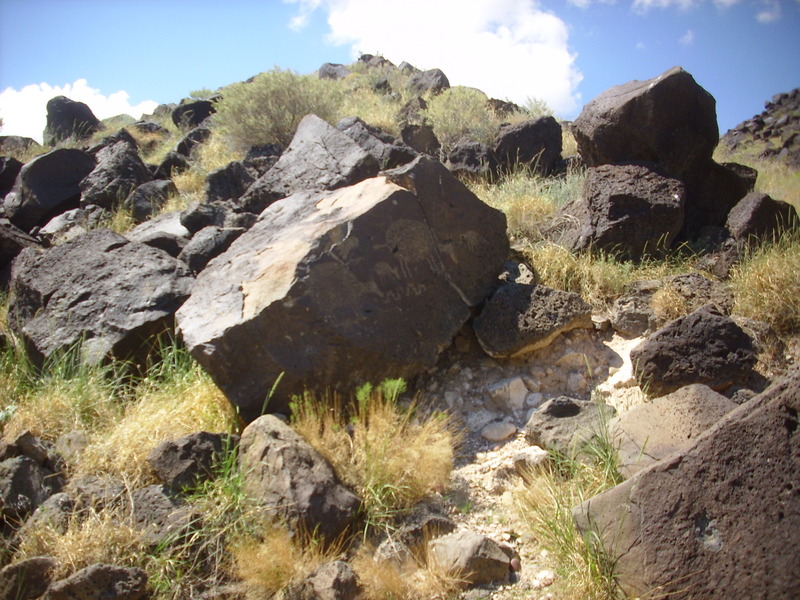 Nearby, next to the trail, was a basalt boulder with some fresh surfaces. These show the contrast between the fresh basalt and surfaces covered with desert varnish, a mixture of iron and manganese oxides that forms on weathered surfaces and makes up the “canvas” on which the petroglyphs are inscribed. 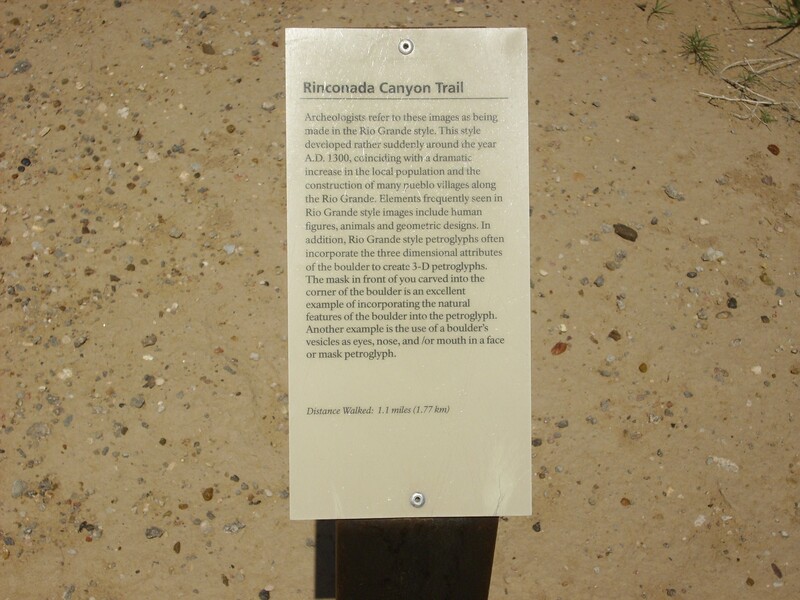 Some of the petroglyphs in the canyon date to the Spanish period, and show Christian symbols. 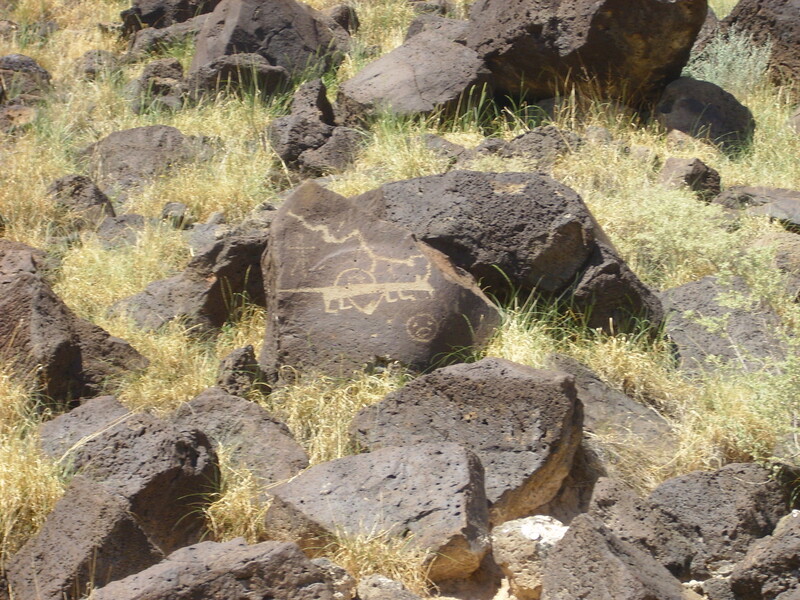 Some of the authentic petroglyphs look almost alien. One can see why von Däniken and similar crackpots were able to attract a following. 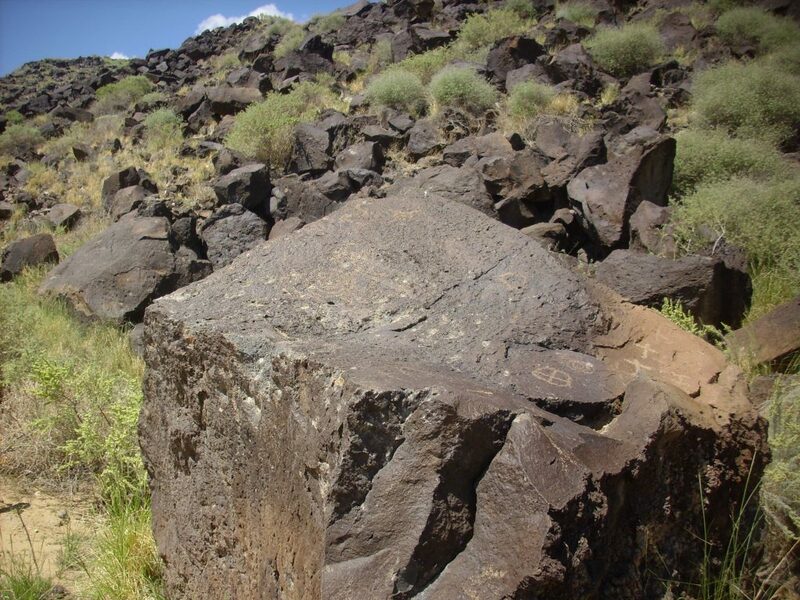 However, the “bug-eyed alien” on this boulder is a recognizable representation of Kokopelli, the Ancestral Pueblo People fertility deity that has been widely vulgarized. I looked in vain for the mask in question. 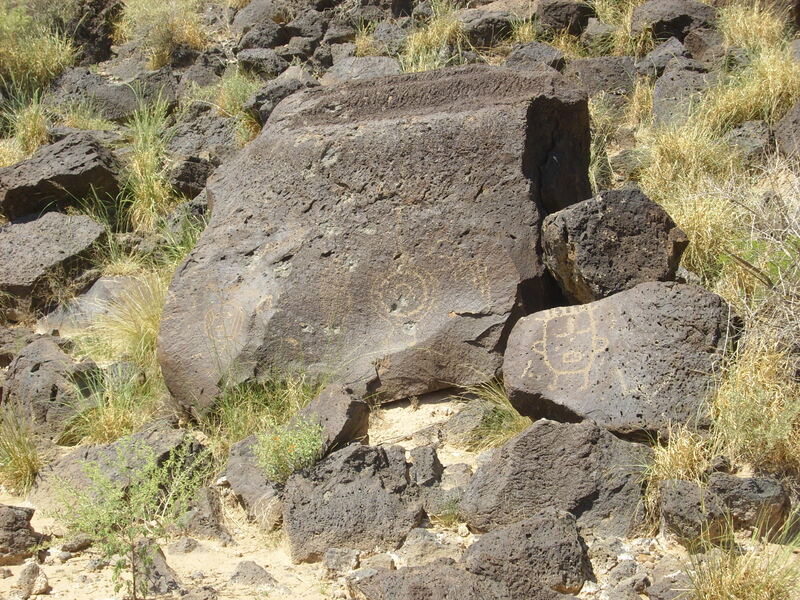 But there were some other petroglyphs nearby. 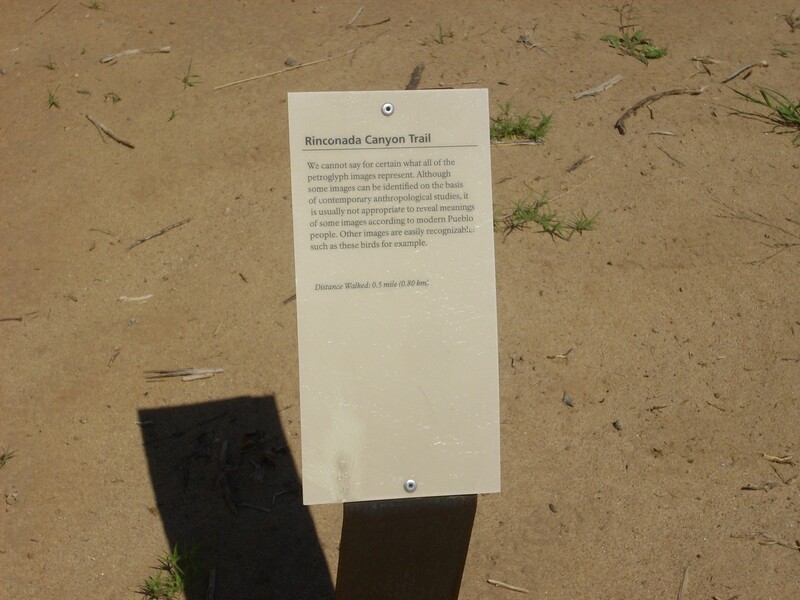 I reached the western limit of the trail, where there was more signage, with information on dates for the petroglyphs. 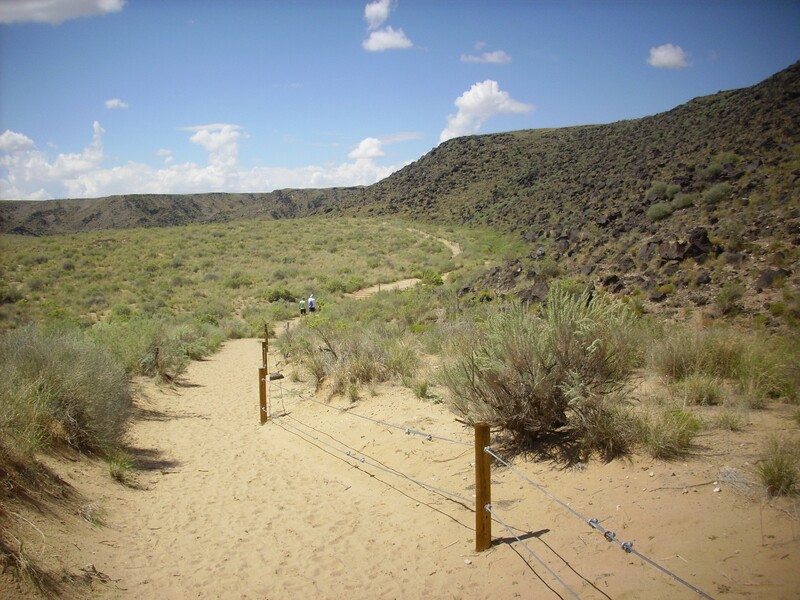 This was also the area with the greatest collection of petroglyphs, starting with the sheep mentioned in the sign. And then a long walk back to the car. Would I recommend this hike? Not especially. 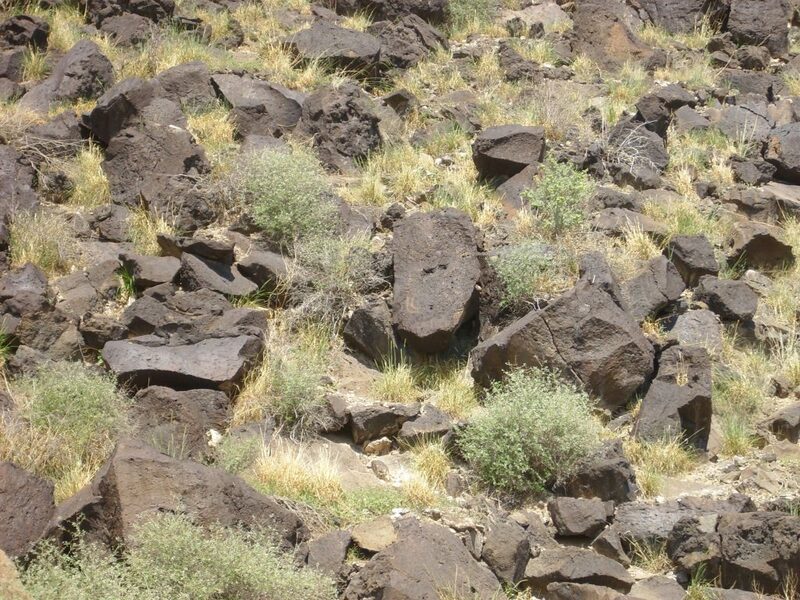 Hot, dry, dusty, and there are better examples of petroglyphs elsewhere. Next post: A drive in the Sandia Mountains.